This article was originally published in the Calais Advertiser in July, 2016. It is used with permission from the editor. There are some parts of Calais that embody a centuries-old legacy, existing in a similar fashion today as they once did generations ago. One such place is on Main Street heading into town from down river, just after the turn to Calais Avenue. 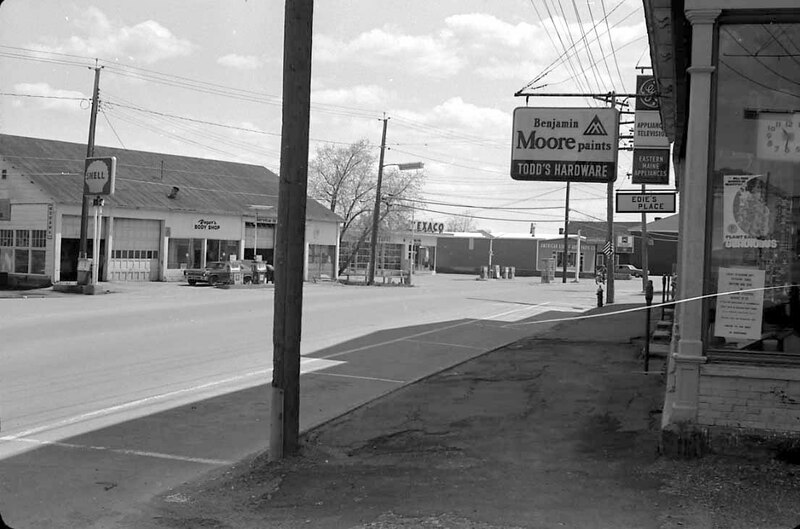 That small stretch has been the primary source of all things related to personal transportation since the town’s earlier recorded history, being dubbed “Carriage Row” and “Garage Row” as the decades passed. 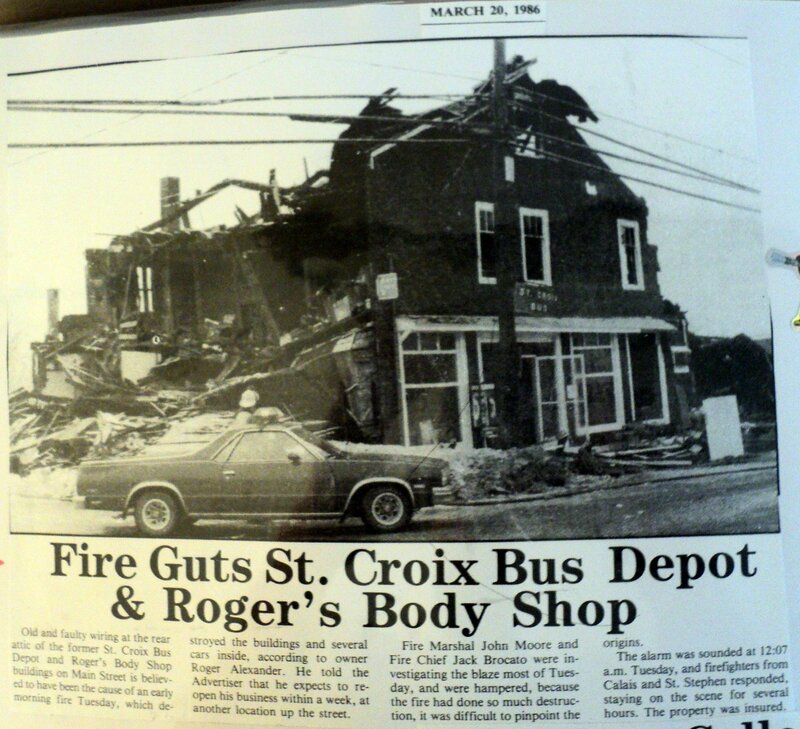 Roger Alexander sat down with the Calais Advertiser to share his experiences as a mechanic with deep roots in Carriage Row in partial commemoration of the 40th anniversary of Roger’s Auto Body Shop. 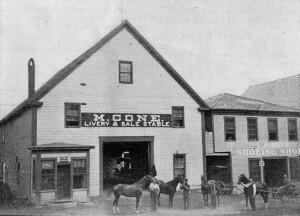 “This location has been in the family since the horse and buggy days,” Roger Alexander said, referring to the lot at 216 Main Street. 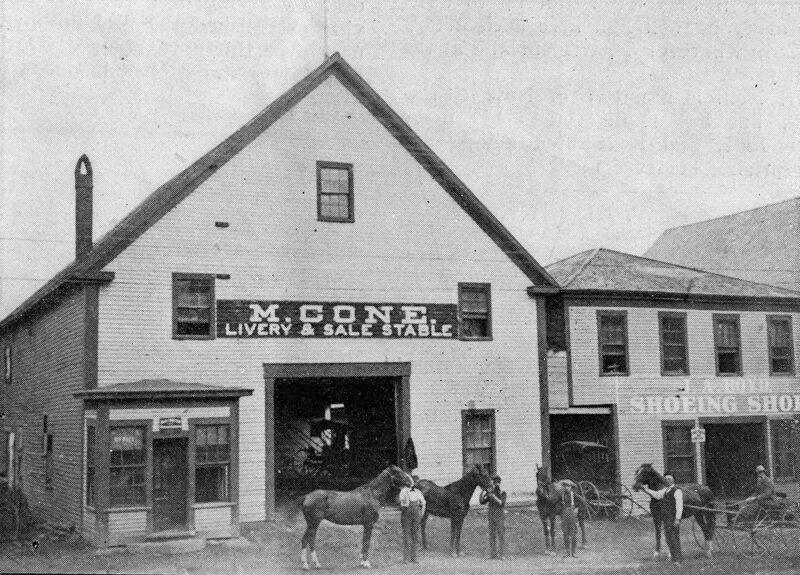 In the 1860s, the lot was occupied by Cone’s Livery Stables, a towering wooden building that would later become Alexander Buick, selling the first automobiles in town. Alexander himself was drawn to the auto body trade at a young age. He left school in the tenth grade to enter into an apprenticeship in a local garage, working 48 hours a week for $10 a week. After three years, his pay had increased to $63 a week—but more importantly, he had gained a good understanding of the trade. In 1967 he began to work for the Bridges brothers, who operated out of the Cole Bridges building (now standing vacant by the library). 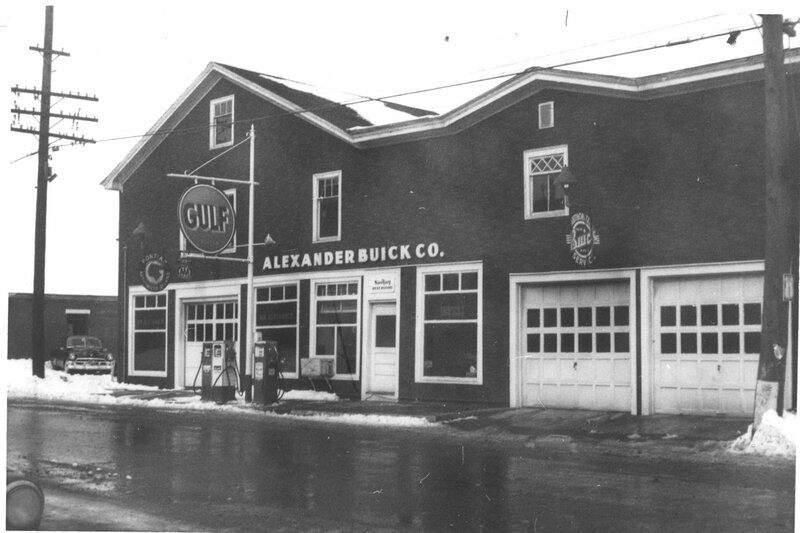 In 1972, Alexander went to work at Alexander Buick itself, and by 1976 he was ready to open his own business by renting a space within the Cole Bridges building. “I knew all the crew—all the old guys,” Alexander said. “At the different garages I worked at, I always listened to advice, asked questions and remembered what they said.” Alexander learned the most effective ways to repair vehicles that had experienced a collision, along with doing essential mechanical restorations. In 1980, Alexander purchased the lot where Roger’s Auto Body now stands. He enjoyed the sensation of working from a building that had been in the family for generations immensely, and was saddened when a fire arising from faulty wiring caused the building to burn down in 1986. Within a week, he had reopened his doors in Cole Bridges, and within a few months, a new building was erected—the same one we now see today. While Alexander himself continues to do many of the duties around the shop—from collision work to sweeping the floors—he credits a significant amount of his business’s endurance to his workers, Ray Wilbur and Chad McGouldrick, both of whom have been with him for twenty years. “We have a good crew,” Alexander said. Since purchasing the lot, Alexander has also purchased the neighboring lots and the one across the street to level them out and create space displaying cars and attractive landscaping. Alexander estimates that about half of his business is generated from car sales and the other half is from collision work. Being the only collision-repair shop in the downtown Calais area has been a tremendous boon to business on at least one occasion. In June of 1991, a hailstorm hit Calais and St. Stephen, dropping hail the size of baseballs throughout the downtown region. “It knocked the back windows out of cars,” Alexander said, describing the extent of the damage to the town. In the fifty or so years that Alexander has spent in the auto body and mechanic trade, he has seen a number of changes. Nowadays, “everything’s computerized and so complicated,” Alexander said, though the computers are helpful in pinpointing a problem at times. Paint has also changed significantly, with the number of layers required quadrupling the amount of time and cost of each painting operation.